Welcome to Rollerland Skate Center, home of the best affordable entertainment in Fort Collins! Family-owned by longtime Fort Collins residents the Trevenas, our family fun center offers something for everyone, from roller skating to an indoor playground and even an exciting laser maze. We are located just off of CO-14 and minutes from I-25 and US-287, convenient to Greeley, Loveland, Denver, Ault, and Cheyenne. 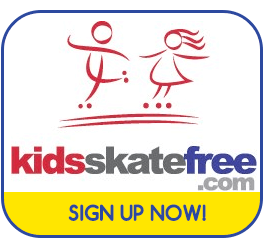 Roller skating is a great way to get some exercise while having fun, especially when you’re skating to the best music from our live DJs at every session! We also have a fantastic three-level indoor playground that is the perfect option for active play, no matter the weather outside. Visitors of all ages love our arcade and laser maze, as well as the delicious treats for sale in our concessions area. In addition to the fun of open skate and our many special events, we’re also your best choice for group events in Fort Collins! From birthday parties for kids, teens, and adults to fundraisers to sports team, scouting, club, and corporate events, we do it all. Our public and private party packages include something for any group, from intimate birthday parties to events for up to 600 people.